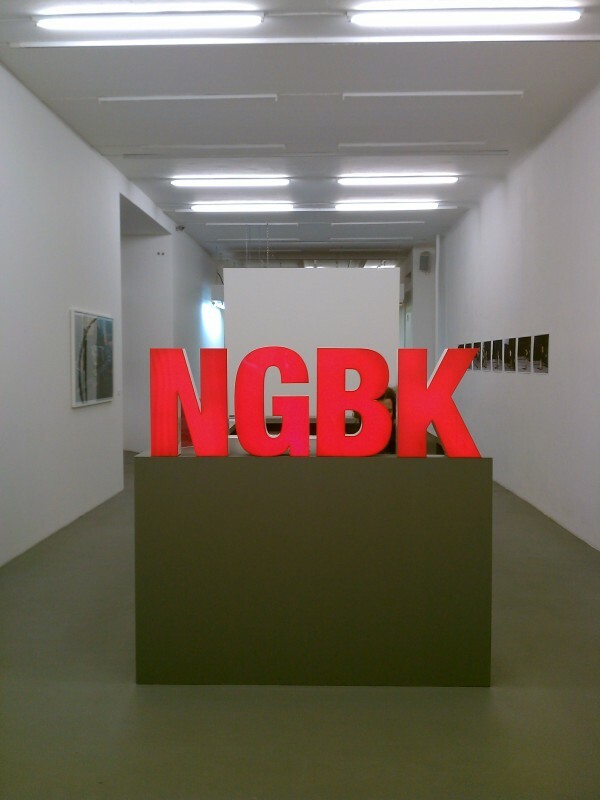 The New Society for Visual Arts (NGBK) is a diplomatic art-society currently comprised of approximately 850 members (made up of , but not limited to: cultural workers, activists, architects, artists, art theorists, sociologists, students). Membership grants you the right to come before the society and submit a proposal for a project or exhibition (as a part of a group of 4 or more) which is then voted on at the general meetings, and consequently funded by the society if successful. Actualized projects are generally accompanied by lectures-series and interactive workshops, which look to examine art within a greater social context. One of NGBK’s most recently realized projects “Kunst im Untergrund” is worth looking into; contributions from this project currently occupy 9 Ubahn stations dotted over the city, breaking-up and interrupting the every-day act of commuting and, for the engaged onlooker, providing a creative point of departure. I moved to Berlin from London 1.5 yeas ago, and now with a range of jobs under my belt from art gallery assistant - blogger - au pair - call centre agent and having lived in 12 flat shares to date, for better or for worse I can not imagine leaving. When I first arrived here I found, as when experiencing most capital cities, that it took me awhile to locate something that resembled the "true" city, and to permeate through the touristic sheen... I'd love the opportunity to share what I have found through up-to-date and relevant tips, so that you can attempt to fast-track your integration into this vivacious and perpetually fluctuating city... and save time trolling through endless out-dated travel guides (like I did).